It’s football season again! I’m not kidding. A new professional football league makes its debut today. 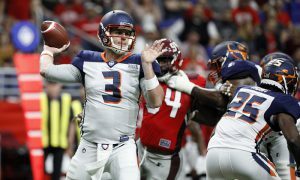 Welcome the Alliance of American Football (AAF). A new league founded by Charlie Ebersol that brings football to seven non-NFL markets plus Atlanta. If this is news to you, you can read more about here. There is plenty of talent from the Big 12 in this league. It is my pleasure to freshen up your memory and let you reminisce before you turn on the television today and see just how rusty they may or may not be. *I seriously doubt any Big 12 fans root for the Atlanta Legends considering there are zero players from the conference on that team. Trevor Knight, QB, Oklahoma: Every Sooner fan was pointing to Knight’s performance against Alabama in the 2014 Sugar Bowl before this year’s semifinal game. 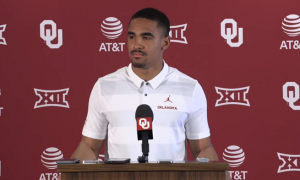 Knight had a miraculous performance before transferring to Texas A&M after Baker Mayfield knocked him out as the starting quarterback for Oklahoma. As a sophomore in 2014, Knight completed 179 of 316 pass attempts for 2300 yards. He tossed 14 touchdown passes that season. His stats would improve at A&M, mostly in his touchdown-interception ratio. And lest we forget, he is now closer to Katy Perry. She’s only one state away from her dream quarterback boyfriend. Justin Stockton, RB, Texas Tech: He likely chose Texas Tech because his high school coach was hired to be on the team. Mike Jinks eventually landed the head coaching job at Bowling Green, but didn’t last long there. Stockton was an outstanding high school running back, but struggled to translate that into the college game. Including the bowl game, he managed to rack up 797 rushing yards on 132 carries his senior year. Part of that, of course, is the Texas Tech air raid. It’s known as “Wide Receiver U” for a reason. Stockton may be a breakout star in this league considering he has Hugh Freeze as an offensive coordinator. Now, he can show off his running ability while also understanding his role as a pass catcher. 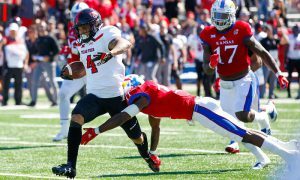 Steven Johnson, LB, Kansas: Johnson is a professional veteran. He’s played six seasons in the NFL. Most of that time has been spent on the sideline. His first three seasons were with Denver. He’s also spent time with Tennessee, Baltimore and Pittsburgh. 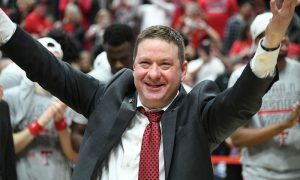 He was recruited during the Mark Mangino era, and played for the most successful coach in Kansas history. He also had the miserable experience of being one of the most successful players under Turner Gill. His final two seasons, he racked up 126 tackles while recording two sacks and an interception. Cordon Moog, RB, Baylor: This seems sketchy. Well, it is, kind of. If you didn’t remember a Cordon Moog at Baylor, that’s because he didn’t play football there. He appears to have played rugby. He’s a 6-foot-5, 214 pound running back now in the AAF. What we also did find is a wedding registry for Cordon Moog and Rebecca Singletary in Terrell, Texas. Mike Singletary is the head coach of the Memphis Express. The former 49er’s coach was most recently at Trinity Christia in Addison, Texas. 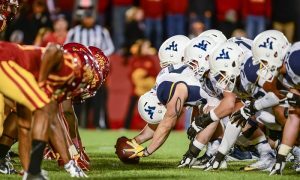 Marquis Lucas, OL, West Virginia: Lucas spent five years at West Virginia and started every game of the 2014 and 2015 seasons. He is a product of Miami Central High School. Terence Garvin, DB, West Virginia: Garvin has started four games in the NFL. He’s also played for four different franchises. During his professional career, he forced one fumble and recorded 78 tackles. Jordan Sterns, DB, Oklahoma State: In three seasons of consistent playing time, Sterns racked up 328 tackles. Over 200 of those tackles were solo. Add in five interceptions and you have to wonder why the NFL doesn’t like this guy. He’s 6-feet tall and 199 pounds. Sterns played for Oklahoma State from 2013 to 2016. He will play for the legendary Dennis Eriickson. Aaron Green, RB, TCU: Here’s a familiar name. From 2013-16, Green was a dominating force for the Horned Frogs. He racked up over 2,200 yards and scored 20 touchdowns. His senior season, he scrounged up 1,272 yards for TCU. He has spent time with three NFL teams, mostly on the practice squad. John Diarse, WR, TCU: He transferred from LSU and helped the Horned Frogs compete in the 2017 Big 12 Championship Game. His caught 35 receptions for 575 yards his senior year. Post-TCU, he was signed as an undrafted rookie by Denver before being cut. Cole Hunt, TE, TCU: Here’s another undrafted free agent out of TCU who was cut by an NFL team after being signed. He’s 6-foot-6, 253 pounds, and earned Big 12 Honorable Mention his senior year. He reeled in seven catches for 63 yards in 2017. Cyril Richardson, OL, Baylor: In 2014, Richardson started four games for the Buffalo Bills. Prior to his NFL career, he was a 2013 Unanimous All-American. Mo Porter, OL, Baylor: Porter transferred to Baylor from Navarro Junior College in 2015. His head coach changed each season with the Bears. He briefly competed for a spot on the Buffalo Bills. Joel Lanning, LB, Iowa State: Cyclones fans will likely root for the Commanders simply because Lanning is such a loveable guy. 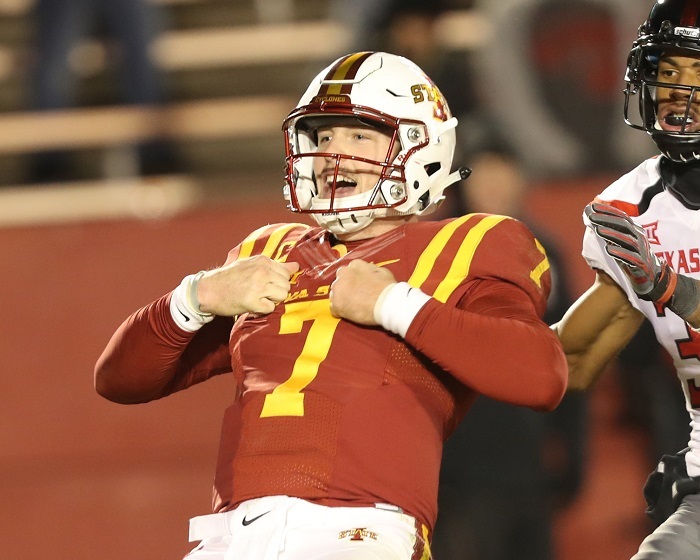 He played both, quarterback and linebacker, for Iowa State his senior season. His touchdown-interception ratio was far better than Trevor Knight’s during his two seasons as starting quarterback. He signed with the Cowboys as an undrafted free agent, but was waived before the season. Jordan Thomas, DB, Oklahoma: Thomas is a pass defender to the core. He racked up eight career interceptions and 28 pass break-ups. After five interceptions his sophomore year, he broke up 17 passes his junior year. He recently had a stint with the Philadelphia Eagles. Duke Thomas, DB, Texas: Thomas has spent time with four NFL teams and the Toronto Argonauts. This may be his last chance. While at Texas he earned honorable mention All-Bit 12 twice. Orion Stewart, DB, Baylor: Stewart earned All-Big 12 First Team honors his senior year of 2016. He picked off quarterbacks 12 times during his career at Baylor. His first starts came as a freshman under Art Briles and Stewart never looked back during his college career. 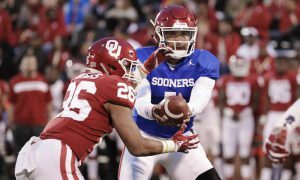 Zack Sanchez, DB, Oklahoma: Sanchez has gone from an early draftee to a near-end of his career. He left Oklahoma after his junior season and was successfully drafted in the fifth round. He racked up 15 career interceptions with the Sooners. However, the Panthers cut him with an injury designation and he was unable to provide value with the New York Giants. This may be his last chance to prove himself. 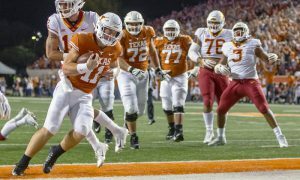 Nick Rose, K, Texas: Rose has spent time in the NFL with seveeral different teams. He’s missed three total field goals and made a 55-yard kick. Ben Johnson, TE, Kansas: Johnson scored honorable mention honors while at Kansas. His senior year saw him reel in 30 receptions for over 300 yards. He spent time with the Los Angeles Chargers after being signed as an undrafted free agent. 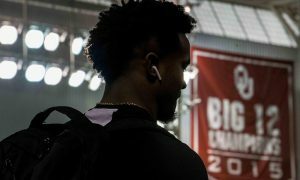 *Editor’s note: The Birmingham Iron do not have any former Big 12 players on their roster.